October is the month for ghosts, goblins, and general spookiness. Scary movies are all over the TV schedule and streaming services. Candy seems overflows from grocery stores like the blood-filled elevators in The Shining. Best of all, Applebee’s is unveiling a new Neighborhood Drink of the Month and October’s is Halloween-themed. 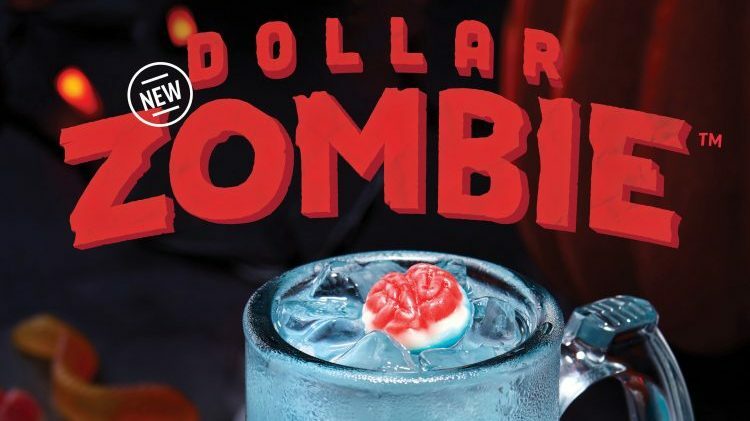 It’s also perfect for fans of The Walking Dead and the frugal undead because it’s called the Dollar Zombie. The drink is only a dollar all month long (hence the name). What else can you get for only a dollar these days? Well, if you head to your neighborhood Applebee’s, you can get your drink on. This ghoulish drink is available at participating locations throughout October. Like all alcoholic drinks, you must be 21 or older to consume it. Just don’t drink too many or you might turn into a zombie yourself.